Hi, friends! Boy do I have a treat for you today. 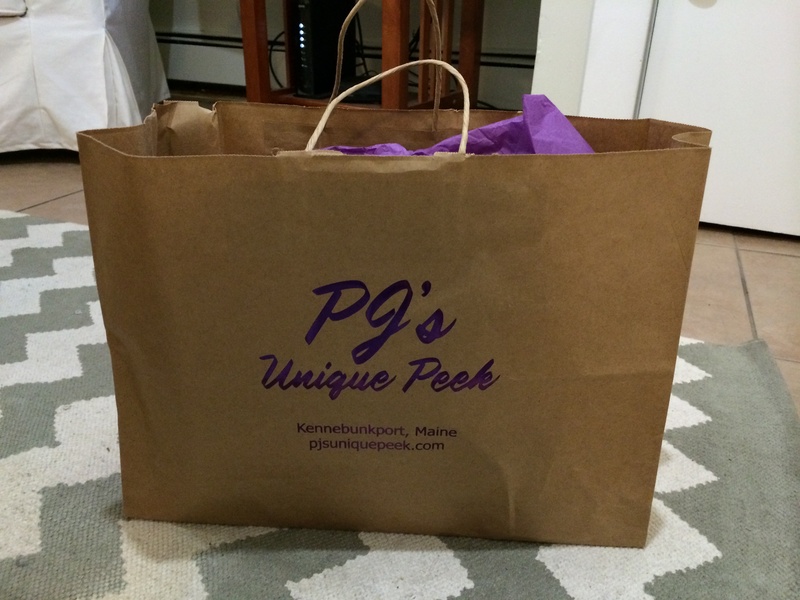 A few weeks ago, I met the owner of PJ’s Unique Peek Boutique, which is located in Kennebunkport, Maine. I had heard wonderful things about Jane (the owner) from my mom and her friend, Jeanne, and everything they said about her was entirely true. My first thought when I saw Jane, was “wow. She is stunning! And really fashionable.” Well, duh, she owns a clothing boutique, so I guess that makes sense. Anyway! Jane and I started talking about her store and how she just got on Facebook and was trying to get more “likes”, so when I said I wrote a blog and could possibly help with that, she jumped right on board! Before I get to the giveaway (which you don’t want to miss), I want to share a little bit about Jane and how she got her business started. I’m always impressed when people have a goal and go for it- no matter how big or small it is, working towards your goals or dreams is a huge accomplishment and something to be incredibly proud of. Owning a women’s boutique has always been a dream of mine, although over the years I’ve worn many hats, but,…the stars aligned perfectly last spring. My friend and I decided it was do or die, so we formed an LLC and proceeded to secure a “brick and mortar” location and do our due diligence, researching and preparing our business plan. Lower Village Kennebunk, a stone’s throw from Kennebunkport and Dock Square, seemed to be the ideal spot and as a bonus there was parking in the rear of the building. It never hurts to have former President and Mrs. Bush as neighbors! We opened the boutique on July 5th. In December, I had the opportunity to buy out my partner, so now the name PJ’s stands for Positively Jane’s. I’m anticipating to have my online store up and running very soon. Presently I’m offering some specials on the business Facebook page. Soldsie and Paypal will be added to Facebook to enhance the selling and buying experience. The boutique carries fun and fashionable women’s clothing, accessories and jewelry (Kazuri from Africa to locally made wire and stone jewelry). The clothing lines include Pretty Women, Tribal, Parkhurst, Raffinalla and Southern Lady to name a few. My skin potions (soaps, creams, body butters and cleansers) are made in Maine. Also, I have some unique gifts made by local artisans from beautiful burl bowls to framed prints to colorful luggage tags. The days and hours are limited in the winter months, but the boutique is open seven days a week after Memorial day. So, now that you have an idea about Jane and her store (which I’m dying to go to! ), let’s get to the giveaway, shall we? 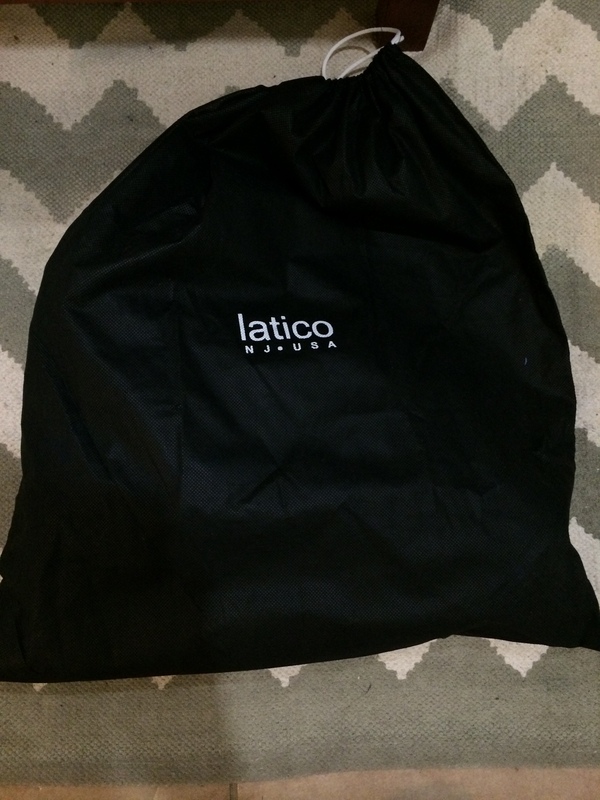 Jane has been gracious enough to give me one of the gorgeous Latico bags that she sells in her store to giveaway on the blog. 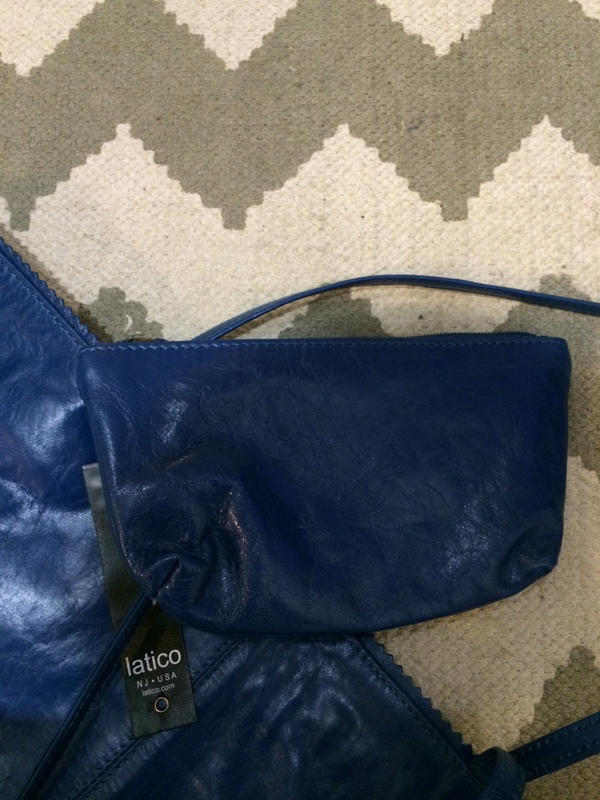 Made in the US, this leather bag is a “must-have” for any of us who are on the go and always in need of a big bag to carry everything. The straps are thin, so they stay in place on your shoulder- is there anything more annoying than having your bag constantly slip down off your shoulder?? 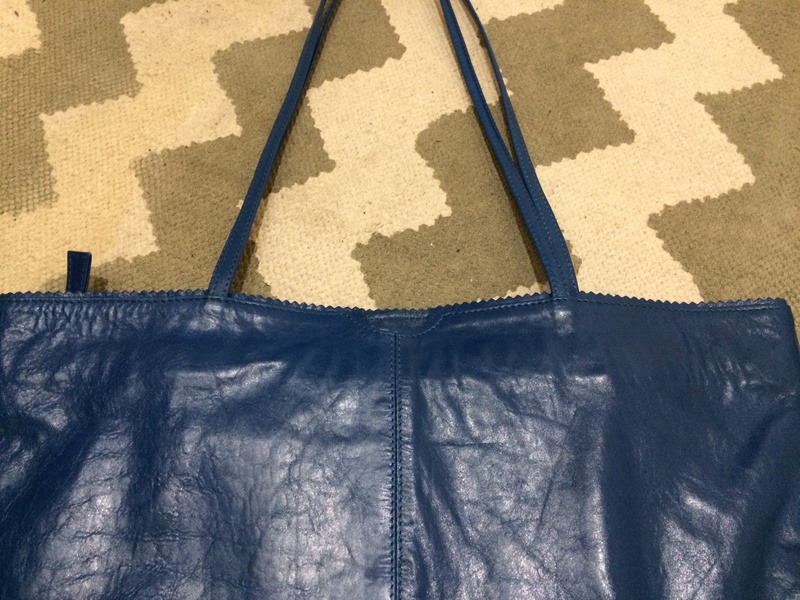 On top of that, the leather is incredibly soft and I’m in love with the gorgeous blue color- perfect for the upcoming spring and summer season, right?? 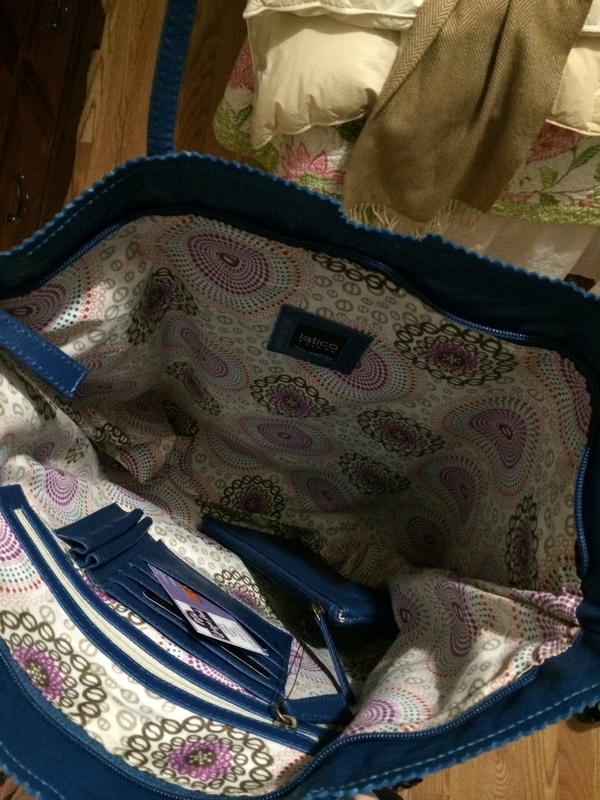 I’m really digging the liner fabric- it’s a nice surprise when you open the bag! I also love that it has a zipper. 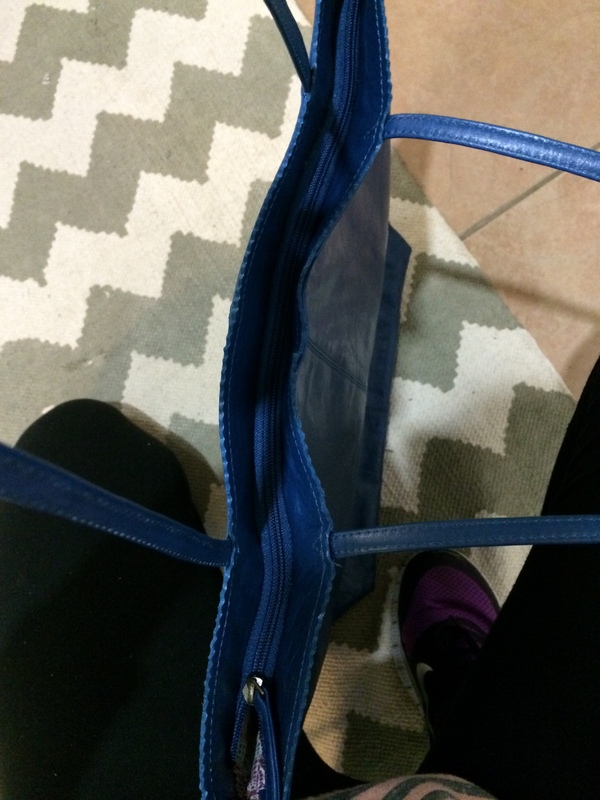 Since I’m often on public transportation, I always look for bags with zippers to keep everything safe (not to mention when I’m in the car and my bag falls off the seat… having a zipper helps to eliminate everything falling all over the floor!). The bag is rather big and deep (perfect for carrying a laptop! ), so I like that it comes with a handy little small, zippered pouch. There are also pockets for your phone, pens, cards, etc., but I’d use the zippered pouch to hold my chapsticks/lip-glosses, hand sanitzer, keys, etc. You could also use it to hold your cash if you decide to leave your bag in the car while you run errands or go out with friends. 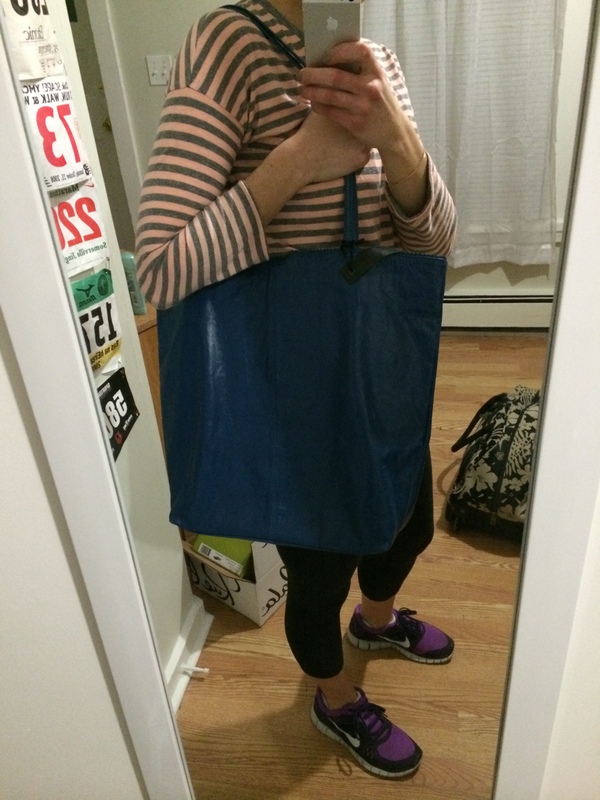 This bag retails at $169.99, but one lucky reader will receive it- for free!! All you have to do is leave a comment on this post telling me what you’re most looking forward to this spring season- clothes, bags, warm weather… can be anything! Leave a comment for every extra way you’re entering the giveaway- That’s a total of 4 ways to enter this giveaway! i cant’ want for WARM WEATHER. Thank you so much for offering such a lovely and generous giveaway. I am most looking forward to warm weather, colorful flowers, switching out my wardrobe, and garage sales. I like PJ’s Unique Peek on Facebook as Cindy Aiton. I like Burpees To Bubbly on Facebook as Cindy Aiton. Awesome post! Looking forward to warmer weather and seeing more smiling faces out and about! I am Janes’s business neighbor – Poofberry’s!! I liked Burpees to Bubbly on FB! Shared give- away on poofberrys twitter!! First of all what a fun job you have!! Second I am looking forward to warm weather and cute clothes to wear in it. Great job getting people interested in local boutique’s. I am most looking forward to walking barefoot on grass! I’m most looking forward to outdoor workouts and drinking on patios! Both ends of the spectrum there. Maybe drinking on patios AFTER outdoor workouts? I liked PJ’s Unique Peek on FB! I already follow B2B on Facebook! I’m looking forward to more outdoor hikes with the hubby and pups! This spring/summer I am looking forward to celebrating my sister’s wedding, my best friend’s wedding, and my brother in-laws wedding! Spending time with great friends and family is always a good time! I’m really looking forward to a warm weather because its SO cold! I can’t wait to be able to walk the beach daily and talk with all the tourists. I’m soooo looking forward to wearing dresses and skirts. I hate pants!! Love bag, love the store and really meeting Jane last month. Feel like a new woman in my stylin clothes! Love the bag, love the store and really meeting Jane last month. Feel like a new woman in my stylin clothes! Looking forward to my garden in Spring. I am most excited about visiting Maine this summer. Will be sure to visit PJ’s. Sounds like a wonderful shop!! I can’t wait for beach weather!